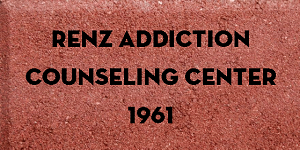 "Help Pave the Path to Serenity"
Commemorate your family name or an event with an engraved brick permanently placed on Renz Addiction Counseling Center’s Serenity Path. Each brick will serve as a reminder to those struggling with addiction, those that have come before them or those who support their journey. Bricks make great gifts to commemorate birthdays, anniversaries or other special events. Help Renz Center contin	e to provide prevention services to youth and the community, as well as treatment services for those struggling with substance abuse or gambling.